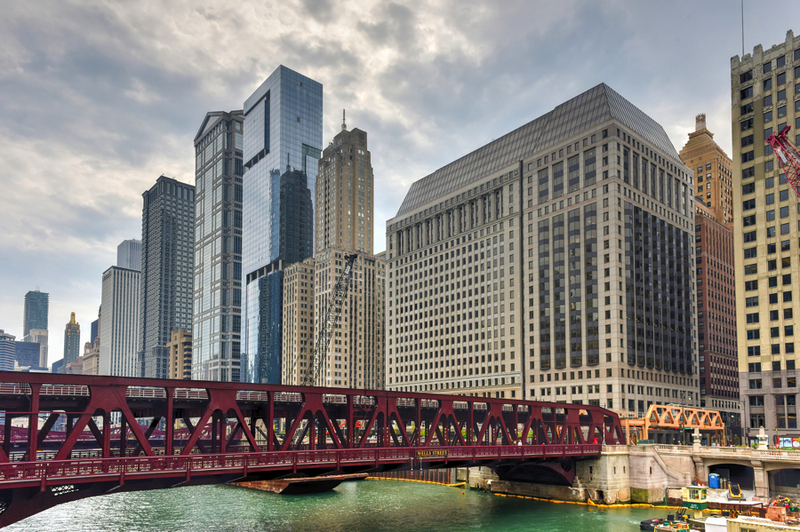 Officially considered the "downtown" of Chicago, perhaps the best part about living in The Loop is that each condo builing within the community offers a true walk to work location, with the city's primary business and financial district just about every lobby door in the neighborhood. Of course, there's also plenty of play to discover here as well, including Chicago's theater district which offers world-class performances every night, and the Symphony, the Lyric Opera and the Joffrey Ballet all stand as cultural fixtures of downtown living. Close to the river, gleaming skyscrapers soar over the city, housing luxury condominiums with unparalleled lake views. Nearer to the ground, a multitude of historical buildings along Printer's Row offer charming vintage lofts. From studios to deluxe penthouses, the diverse real estate in the Chicago Loop cater to families of all sizes. 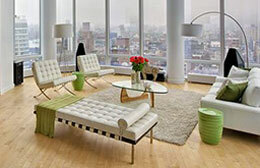 And single urban dwellers looking for the ultimate in city living may find their downtown niche as well. For unmatched convenience and sophisticated surroundings, it's hard to find a better spot than the Loop. For more information on real estate for sale in the Chicago Loop, contact Leo Clark, downtown Chicago real estate expert. 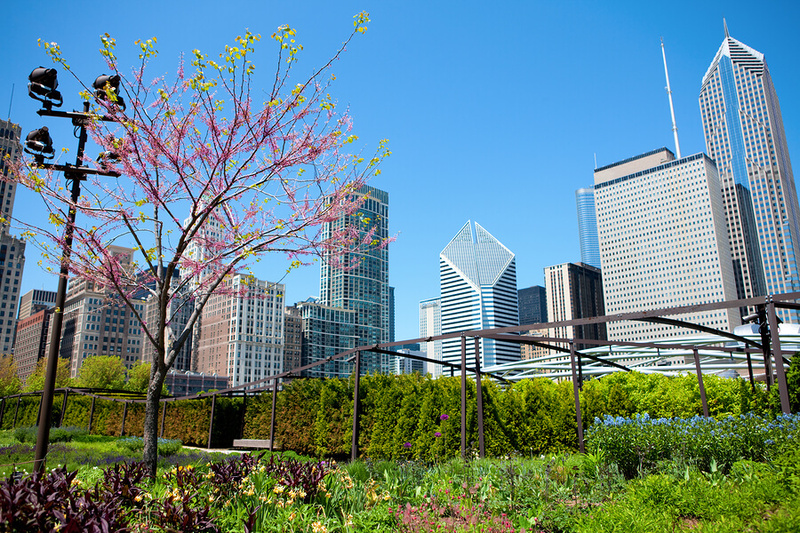 Although condos for sale in The Loop may not get the publicity or recognition as condos in other nearby downtown neighborhoods like River North or Streeterville, home buyers are presented with some pretty spectacular options, with The Legacy at Millennium Park perhaps being the most notable. Top loft buildings in The Loop include 8 W. Monroe, 20 N. State, and several buildings along South Michigan Avenue, but the list of attractive and desirable condos or loft buildings certainly doesn’t stop there. In terms of price, entry level condos or lofts in The Loop tend to start in the mid-$100s, while luxury condos in The Legacy and other first-rate buildings sometimes reach $5 million or over. WANT TO SEARCH MORE CONDO BUILDINGS IN THE LOOP? For years, few people actually considered The Loop as being a destination for home buyers, as much of the neighborhood landscape consisted of towering commercial high-rises with little to no residential space. Today however, things have changed dramatically, and with the arrival of several prominent rental developments like 111 W. Wacker, 73 E. Lake, and the re-development of Block 37, the bustling Loop neighborhood is now much more than just a hub for big business. In fact, because of these and other rental developments, the doors have opened for additional condos developments to be built in the area as well, giving today’s home buyers a whole lot to consider when searching for a new place to live in downtown Chicago. As you might imagine, real estate for sale in The Loop consists mainly of high-rise condos and even a few loft conversions here and there. Acting as the official downtown part of the city, you won’t find much in terms of single-family homes or townhomes here, so if that’s what you’re looking for during your home search, you might have better luck searching what’s available in some of Chicago’s north side neighborhoods like Lakeview and Lincoln Park. To learn more about real estate for sale in The Loop or to perhaps schedule a private showing for a loft or condo you’d like to see in person, contact one of our downtown Chicago real estate experts at Gold Coast Realty today at (312) 280-9600; or click on any of the MLS listings featured below to get additional details and view photos of each specific property!